A gentle dentist for all the family. Latest general and cosmetic dentistry from our dedicated team of professionals. Anti-wrinkle solutions and skin rejuvenation. The highest quality of treatment from our highly trained Clinicians. The Dental, Orthodontic and Implant Clinic in Bursledon, Southampton, Hampshire: a general and cosmetic dentist for all the family. At Smilemakers, we pride ourselves on providing high quality dentistry in a friendly and relaxed environment. At Smilemakers, cosmetic dentists in Southampton, we emphasise prevention as well as personalised attention, and we offer complete dental services in all speciality areas, including general and cosmetic dentistry, implants and oral surgery. New patients are welcome. We have treatments to help the whole family. This includes routine check-ups, fillings, tooth extractions and root canal work, hygiene appointments and fluoride and sealants to help protect your child's teeth from decay. Another area of our practice is orthodontics, or teeth straightening. This uses braces and other dental appliances to correct misalignments. This not only has a cosmetic benefit but a health one too – straighter teeth are easier to clean and have fewer gaps where plaque and bacteria can build up. We offer dental implants, for anyone who has or is about to lose a tooth. These revolutionary tiny, titanium posts replace the tooth root and give back full functionality. No need to avoid chewy or crunchy foods and no issue with false teeth slipping out. They can replace one, several or all of your teeth, through denture stabilisation. Our other focus is cosmetic dentistry and facial aesthetics. As your dentist in Southampton, we believe that your teeth should not only be good but look good too. The boost to self-esteem that comes from having a dazzling smile is not to be underestimated. There are a range of different procedures available for this including: teeth whitening, composite bonding, replacement crowns, bridges, dentures, inlays and onlays, tooth-coloured fillings and veneers. You can combine two or more of these treatments for a smile makeover. We see facial aesthetics as a natural extension of our cosmetic work. As dentists, we spend years studying the intricate anatomy of the face in great detail. 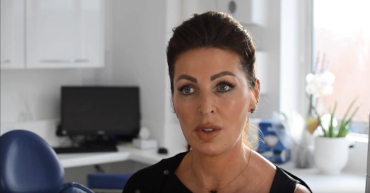 This makes us ideally placed to offer dermal fillers and Botox, because we know exactly where to place the injection to create the most natural-looking effect. Both these quick and easy procedures give the face a gentle, non-surgical lift. Zero percent finance available to spread the cost of treatment into manageable monthly instalments. I would thoroughly recommend the service to anyone. I feel that I received high quality dental care at a competitive price. I would highly recommend Smilemakers. The service is excellent. The treatment is excellent. No way could I fault it!!! The atmosphere here is very warm and friendly, and the dental work is done so gently and with great care. I'm so glad I changed to Smilemakers. Everybody was very kind and patient. It was the same throughout the procedure, as it is right through the Practice.